Volvo Chairman Li Shufu says the car derived from the Concept You show in Frankfurt will be Volvo's largest and most expensive model. Volvo is counting on more-premium models and a flexible vehicle architecture to propel it to new heights. 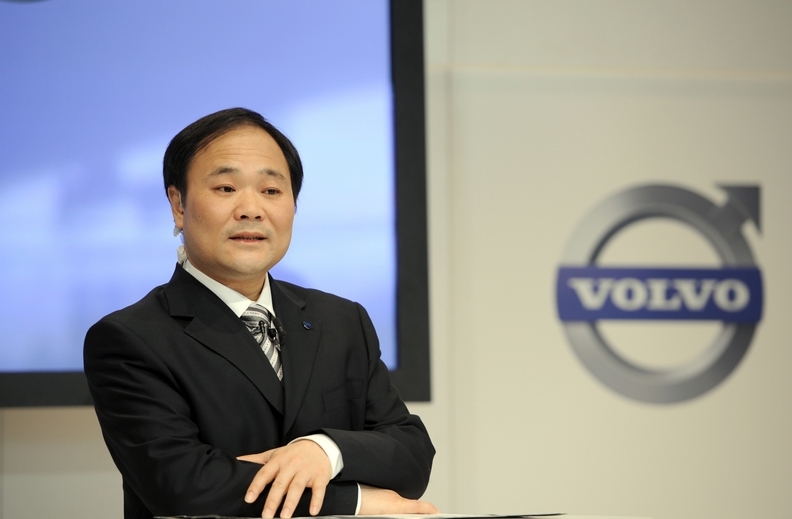 Volvo Chairman Li Shufu told Automotive News Europe that the Concept You that debuted at last month's Frankfurt auto show is an example of "a very competitive product in the top-level premium segment." He added that the car derived from the concept, most likely the replacement for the S80, will be Volvo's largest and most expensive model, which will be aimed at the BMW 5 series and Mercedes E class when it debuts "sometime around 2015." The car is part of Volvo's $11 billion five-year investment plan to mount a serious challenge to BMW, Audi and Mercedes's dominance in global premium car sales. Another key feature of the Chinese-owned Swedish automaker's plan to double its volume to 800,000 by the end of the decade is its so-called scalable platform architecture, or SPA. "SPA will allow 80 percent of Volvo models to be built on the same production line regardless of vehicle size and complexity," Volvo CEO Stefan Jacoby told Automotive News Europe. The CEO added that by using SPA, Volvo will be able to share 40 percent of its parts across different models, which he said is "significant" for Volvo without providing details on the company's current level of parts sharing. SPA will underpin the next generation of the 60, 70, 80 and 90 car and SUV lines. The first car to be underpinned by the SPA architecture is likely to be S80 successor.